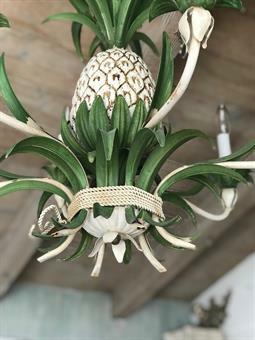 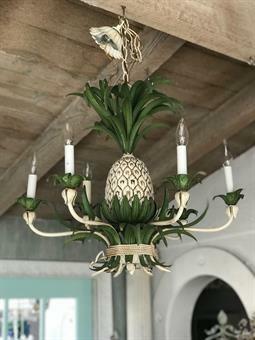 This charming mid century pineapple chandelier features a all original patina with 6 lights in good working condition. 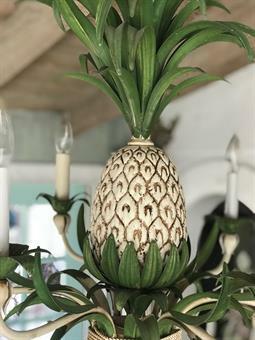 Measures 21'' tall by 24'' wide. 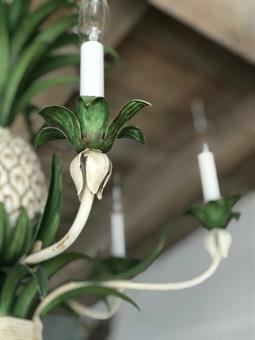 For any questions or shipping quote please contact lucy_torres@att.net.